ABU DHABI, UAE – Prime Minister Ruhakana Rugunda who is representing President Yoweri Museveni at the 9th assembly of the International Renewable Energy Agency (IRENA) in Abu Dhabi, United Arab Emirates has made a passionate appeal for business people to come to Uganda to invest in solar, geothermal and other forms of clean and renewable energy. Speaking at the High-Level segment of the assembly of over 100 countries on Sunday 13th January 2018, Dr Rugunda spoke about the enabling policy and legislative environment in the country, conducive for investment in the sector. “As a country, we have put in place relevant policies, laws and regulations that enable us to refocus on renewable energy development,” Rugunda said. The Prime Minister informed the meeting that currently, the total installed capacity is 970MW of which about 90% is renewable, largely comprised of large hydropower installations. He explained that of recent a lot of advancement in the use of solar power plants has picked up, with plants set up in a number of places such as Tororo, Soroti Plants of 10MW each and a newly installed at a place called Kabulasoke of 20MW. Putting into consideration that Uganda’s electrification rate that stands at about 27%, Dr Rugunda said that more energy is needed from renewable energy sources. “To advance the electrification rate, Uganda has launched the free electricity connection policy and embarked on a drive to extend electricity to every Sub County countrywide. By 2020 the installed Generation capacity will be close to 2012MW, largely from renewable energy sources. We aim to more than triple the current electrification rate by 2030,” he said. The Prime Minister also said that by associating with IRENA, Uganda has benefited, amongst others, from renewable energy resource assessments under the Africa Clean Energy Corridor initiative. 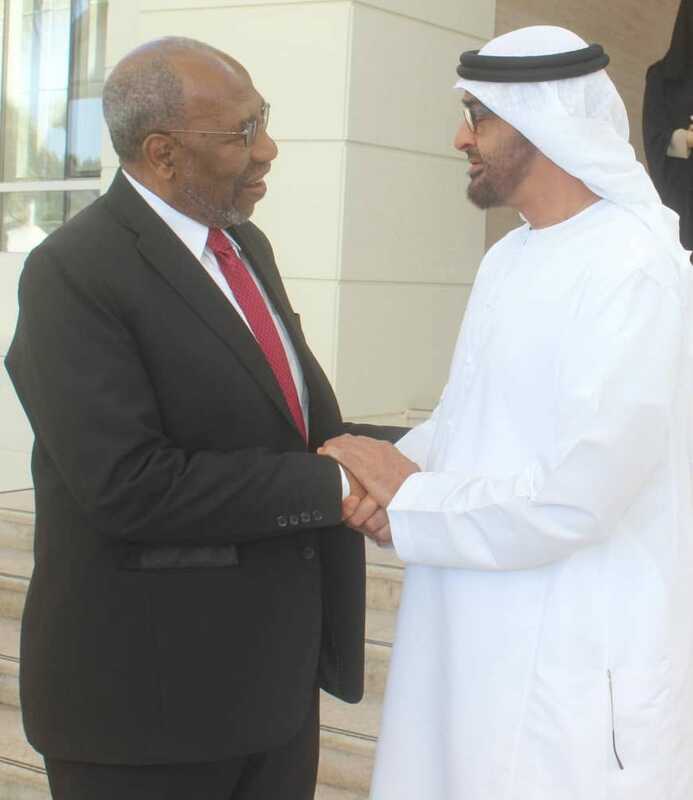 While in Abu Dhabi, Prime Minister Rugunda also paid a courtesy call on Sheikh Mohammed bin Zayed bin Sultan Al-Nahyan, the Crown Prince of Abu Dhabi and Deputy Supreme Commander of the UAE’s Armed Forces. The two discussed ways of deepening relations between Uganda and U A E.